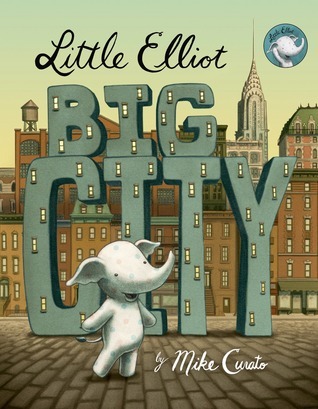 About the Book: Little Elliot is a little elephant who lives in a big city that is so much larger than he is. Elliot would love a cupcake but he's too small to reach. Will he get his treat? 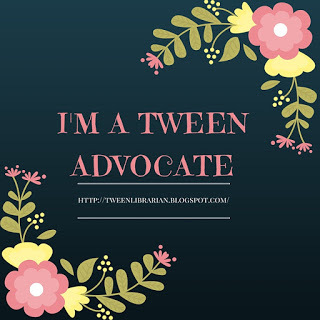 GreenBeanTeenQueen Says: Every year a book is released that is so adorable and sweet I just sigh with happiness each time I read it. Little Elliot, Big City is that book for me in 2014. Elliot is adorable-there's just no better way to describe him. I would love a little polka-dotted elephant friend and I would love to share a cupcake with Elliot. Not only is the story of Elliot finding a friend in the big city sweet, but the illustrations add to the tenderness. Mike Curato captures emotion on Elliot's face as he has to be careful in crowds or when Elliot is too small to reach what we wants. But Elliot doesn't let his size get him down and he takes notice of the small things. The two page spread of Elliot looking sad after he can't get his cupcake is heartbreaking. I also think it's appropriate that the only person that notices Elliot in a crowd is a small child. Of course a child would have the innocence and wonder to notice Elliot. It's a picture that is so simple and also speaks volumes. When Elliot meets mouse and learns he can help someone else, the spread of Elliot feeling big and proud captures Elliot's monumental achievement. Little Elliot, Big City is Mike Curato's debut picture book and I can't wait to see more from him. I think Elliot would make a nice storytime book and would pair wonderfully with A Sick Day for Amos McGee about a storytime on sweet and tender friendship.